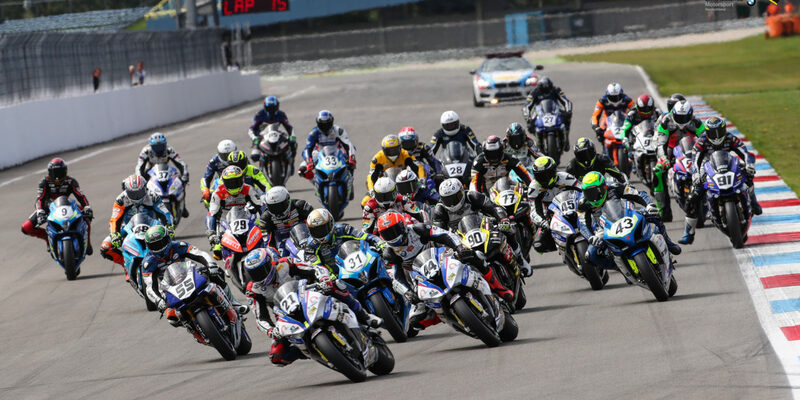 (EN) IDM Assen: Rain, sun and a double victory. 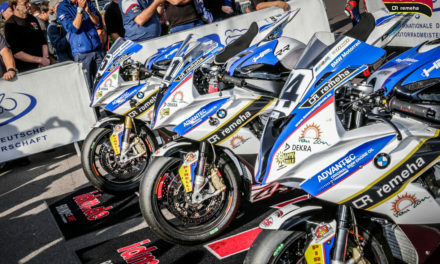 The wide-ranging team Van Zon-Remeha-BMW travels from one home race to the next during this season of the International German Motorcycle Championship (IDM). 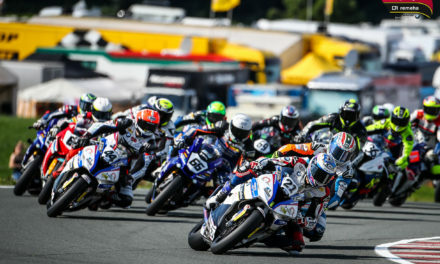 At the start of the season it was the home race for the Belgian team owner Werner Daemen at home in Zolder, then Markus Reiterberger and Arnaud Friedrich had their highlight at Schleizer Dreieck in Thuringia. 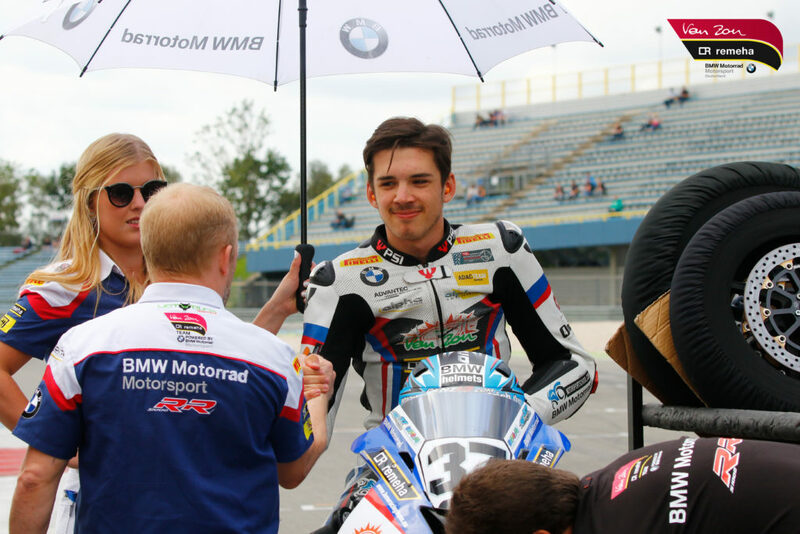 BMW rider Jan Bühn can only decorate himself with the “status symbol local hero” at the IDM final on the Hockenheimring. Last weekend, it was Danny de Boer with his favorite track in Assen. 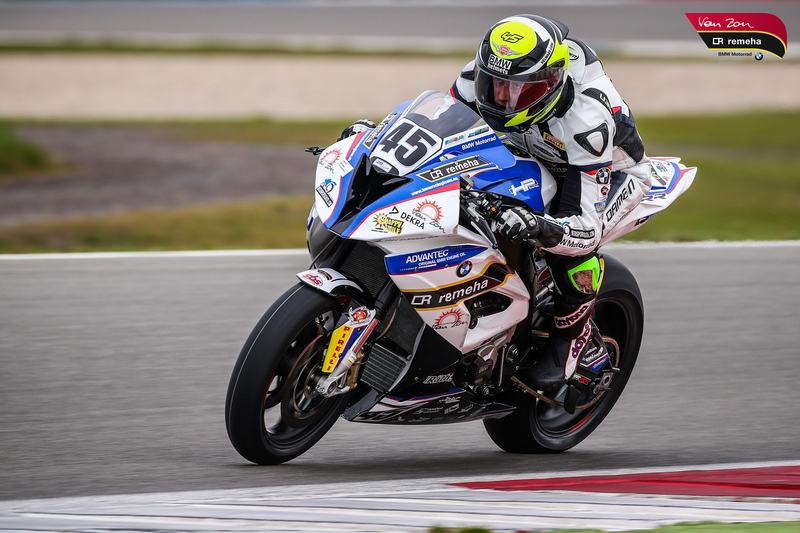 Markus Reiterberger performed very properly in Zolder and in Schleiz with a respective double victory and always counts as a victory candidate in the IDM Superbike class. Even if team mate Danny the Boer had similar plans for the Dutch round in Assen. Reiterbergers goal was to keep the concentration at high level, as he is already one step ahead at his WorldSBK wild card entry at the Lausitzring round. 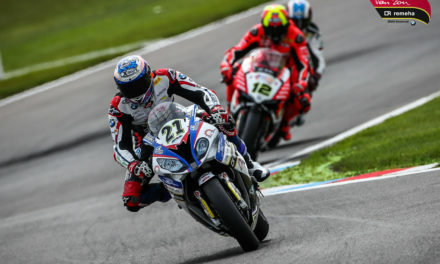 Reiterberger will return to the international stage of the Superbike World Championship after his IDM round in Assen. “The last few weeks were a little stressful,” he admits. “We still have a lot to do with the World championship bike. For the Lausitz weekend, we will have a lot on our schedule and thankfully Gordon Unger from Team Penz13 will support us on the mechanic side. “But before that, it was still necessary to deliver a good performance in Assen. Even at the free trainings on Friday Reiterberger pushed a lot. Perfect timing was provided by the Bavarian in the second Qualifying. Already in the first rainy session he achieved the best lap time, but for the pole position it was in the final session, on an increasingly dry course. Four minutes before the end, he got himself a fresh pair of slick tyres again – result: Best time and a lead of 1.4 seconds to the rest of the field. In both races Reiterberg took the best possible shot. Starting from pole position, he claimed the first place until the end oft he race with constant fast lap times and increased his gap to his next contender to two-digit seconds. Danny de Boer is a big fan of the Dutch Grand Prix circuit. Not only because it is his home track and he has already done countless laps there, but also because he has successfully completed two tracks with Zolder and Schleiz, who are not one of his favorite tracks. He had already achieved a great success with the fourth place in Assen during his wild card start in the FIM Superstock EM this year. “I have a good feeling,” he said after the first training sessions. “Sure, I’m also pushing myself a bit, but not too much.” De Boer did not have any priorities in the changing Assen-typical weather. “I’m a little better in the rain than Markus Reiterberger,” says the Dutchman, “but I want to beat him in the dry.” But in training, both in the wet and in the increasingly dry session, de Boer had wasn´t able to beat Markus Reiterberger. “The last sector is my best,” said the second-placed rider with regard to the two races. 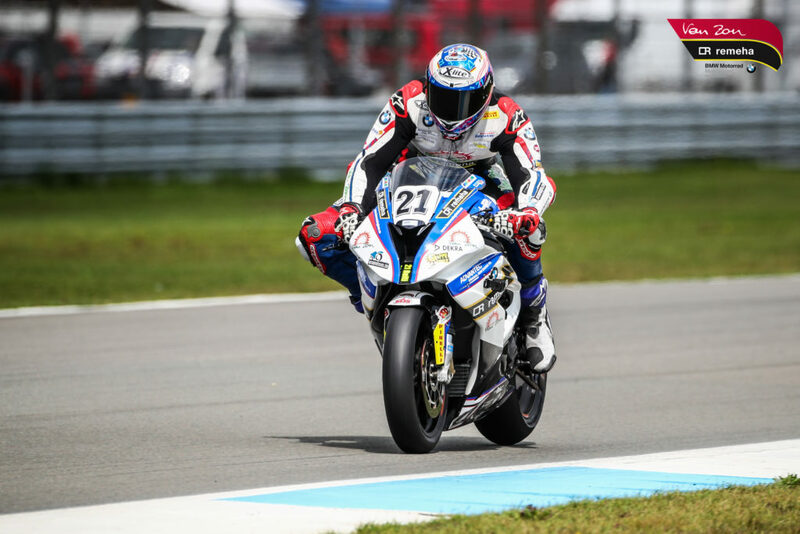 De Boer ´s home is only a 25 minutes drive away from Assen so the Dutchman started with a kick extra motivation into both Superbike 1000 races. Arnaud Friedrich had not been able to deliver his best performance in Schleiz with a crash and a stomach disorder, but in Assen he showed himself again in old freshness. “Obviously the Schleiz weekend got me a little annoyed,” he admits. “But now all the wounds have healed and the weekend has been ticked off.” In Assen, the teenager is particularly well-disposed to hold the line of his choice. “Besides, I did not ride much kilometers in Assen,” he says. “There are already a few special corners where you need a little practice. In the evening we could still compare the data from me and my colleagues. The second, and after the rainy first decisive training, became a tough test for Friedrich, which ended for him on the 30th grid position. In the extremely mixed and difficult conditions of the first training minutes, Friedrich had hit a piece of wet asphalt in a corner and paid the price by crashing down. He remained unscathed, but the BMW had to go to the Van Zon-Remeha-BMW box for service after the training. Starting from P30 he had two difficult races ahead. Team Van Zon-Remeha-BMW is already on the road to Lausitzring, where all four riders will take part at the IDM Superbike event. 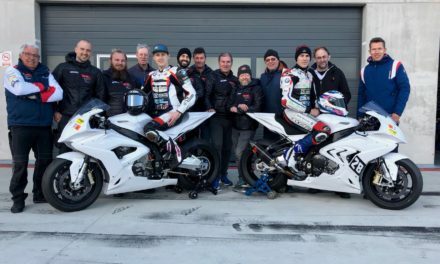 IDM leader Markus Reiterberger additionally wants to show his former colleagues in WorldSBK that he is still competitive at the highest level of motorcycle racing. 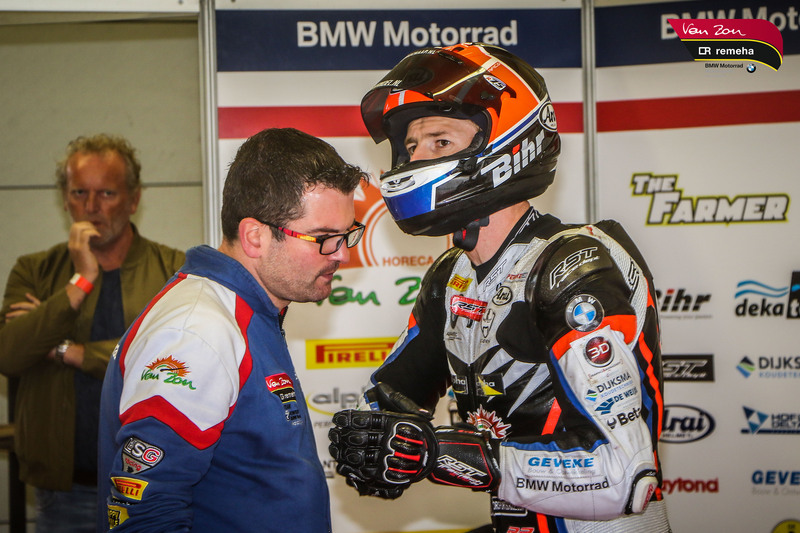 He will complete a wild card entry with his Van Zon-Remeha-BMW crew in the German WorldSBK round. (ENG) IDM Schleiz: Great success for team Van Zon-Remeha-BMW.